Bhavin is your local Lalor Building Consultant. 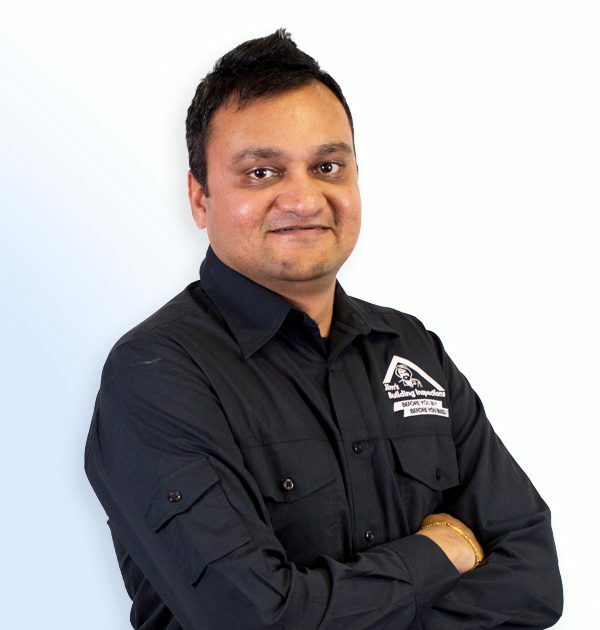 Bhavin has been working in the building and construction industry for over 9 years and comes to Jim’s Building Inspections with a professional attitude, great practical experience and a broad skill set. His career began with a Bachelor of Civil Engineering at the age of 17 which led him to a career as a Project Engineer in Residential and Commercial projects including involvement in Contract Administration, Project Planning and Structural design. He is very community minded and has completed Cert IV in Disability (Community Services) and has worked part-time as a disability support worker for the Department of Human Services. Bhavin is originally from India and has been living in the Northern suburb of Lalor for over two years. He loves spending time with his family and friends, enjoys traveling with his wife, playing backyard cricket in the summer and is a mad keen Geelong supporter.